Follow the filmmakers from the Smithsonian Institute on a visual journey through the lush Pacific Ocean paradise that is home to some of the most precious flora and fauna on the planet. Scattered across the equator, this largely unexplored series of volcanic islands is host to a stunning array of endangered species that remain virtually unknown outside of the archipelago. Darwin came up with his theory of evolution after contemplating variations in the bodies of birds and land animals isolated for millennia on the islands. But the real focal point of this film lies deep in the islands' waters, where Darwin never got to explore. 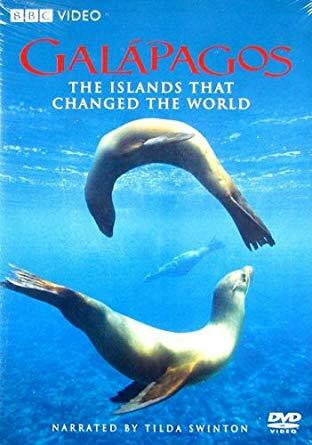 Because of currents flowing back and forth between the islands and the Ecuadoran mainland, the evolutionary separateness of the sea creatures (as compared to the land-dwellers) has been diminished, but they are marvelous nevertheless.